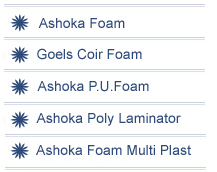 Ashoka foam is one of the leading groups of companies in the field of Home Furnishing since 1978. An ISO 9001:2000 and ISO 140001 certified group, we deliver unparalleled quality in Rubberized Coir Mattresses, Poly Urethane foam, HDPE/PP woven bags, Tarpaulin Material, Plastic Molded Furniture and Spring Mattress from our manufacturing division equipped with all modern infrastructural facilities. Equipped with 1200 skilled manpower across our four manufacturing units spread over 5 lac Sq.Ft. 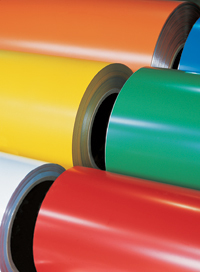 area, the Company’s diversified interests are aptly supported by the latest machinery and in-house R&D facility. And this has helped us achieve a turnover of 1000 million rupees along with the trust of our clients. Our state of the art manufacturing facilities and unmatched world-class quality has allowed us to carve a niche for our products in the worldwide markets. Ashoka Foam products are certified in accordance with Indian & American Standards, the most exhaustive & global expressions for home furnishings. Today, having more than 5000 dealers in India and exporting to 3 countries, we are rapidly becoming synonymous to quality & trust. The marketing strategy and pricing policies have put the Company one step ahead of the competition. We are in process to open our warehouses at Pune, Mumbai, Nagpur, Indore, Bhopal, Kolkata, Bhuvaneshwar, Chennai, Bangalore, Calicut etc. for expeditious supplies. With latest technologies from Italy and Germany installed, the Group is capable to meet & beat any forthcoming challenges. It is our firm belief that the products must satisfy the customer in terms of expected quality & value for money and consumer satisfaction is the only way for the growth of the company. Our motto is to adhere to superior quality, timely delivery and effective services. These are our inseparable strengths for our growth and trust shown in us by our valued clients both within and outside India.